Why does the film Magnolia end in a downpour of frogs? Is the serpent in the Garden of Eden the devil or just a snake? How do people use the Bible to argue different sides of today's most controversial issues? Why did Metallica's bass player name their song “Creeping Death” after watching The Ten Commandments? Where does the fish symbol of the Christian faith come from? Who is the lamb with seven horns and seven eyes who opens the seven seals of a cosmic scroll? 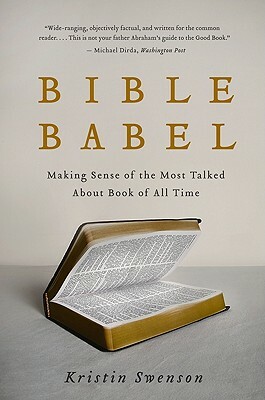 Without either promoting or undermining specific beliefs, religious studies professor Kristin Swenson offers an intelligent, humorous, highly accessible, engaging, and illuminating guide to the Bible—incorporating biblical scholarship with contemporary pop culture references to help readers better understand the most talked about book of all time. Kristin Swenson teaches religious studies at Virginia Commonwealth University. Her books include Living Through Pain: Psalms and the Search for Wholeness and What Is Religious Studies?. Hats off to Kristin Swenson. . . . Ms. Swenson combines meticulous scholarship with an original eye and a sense of fun. She has succeeded in presenting the Bible anew in a highly accessible way. . . . A most welcome achievement.